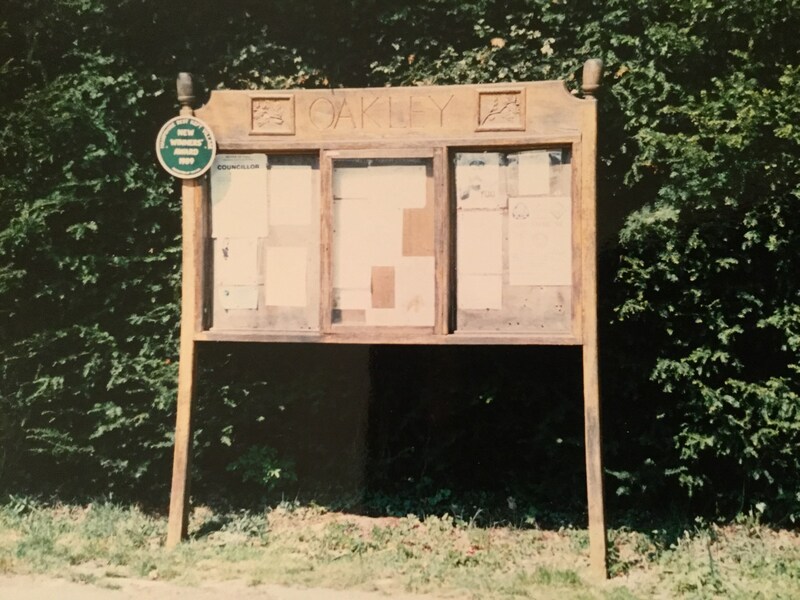 The Parish Council owns several noticeboards around the villages of Oakley and Deane for the use of the Council for statutory notices and news as well as for members of the public to display items of interest. 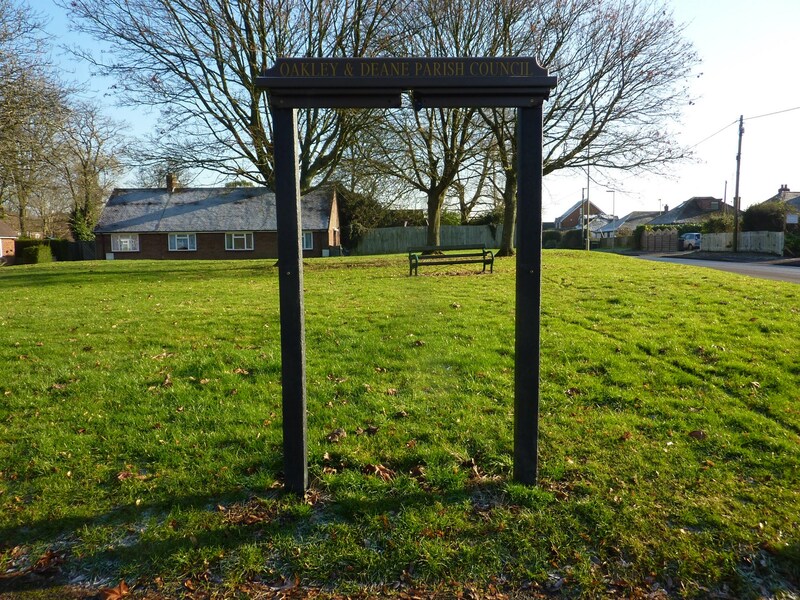 During the year ended 31st March 2016, the Parish Council was able to purchase five new noticeboards, thanks to a grant from the legacy to the village by Nigel Stratton. These were erected in Oakley Lane, Fox Lane, St Johns Piece (replacing the one in memory of Nancy Kirby who was a District Councillor for many years), the Oakley Burial Ground and one in Deane. Unfortunately by the end of 2016, three had been vandalised beyond repair. 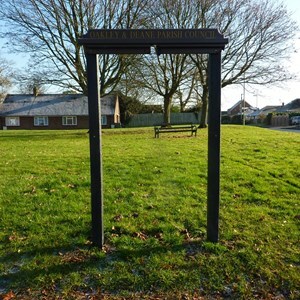 The Parish Council sought to replace them with more vandal proof boards and the three replacements were installed in early 2017 however, within a week they were vandalised again. 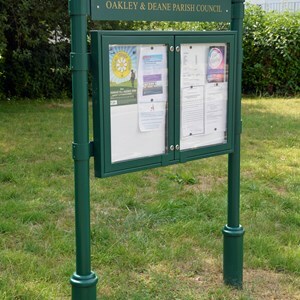 After further research,in 2018 the notice boards in Oakley Lane and at St John's Piece were replaced for the second time and the one at Fox Lane is due to be replaced in 2019. 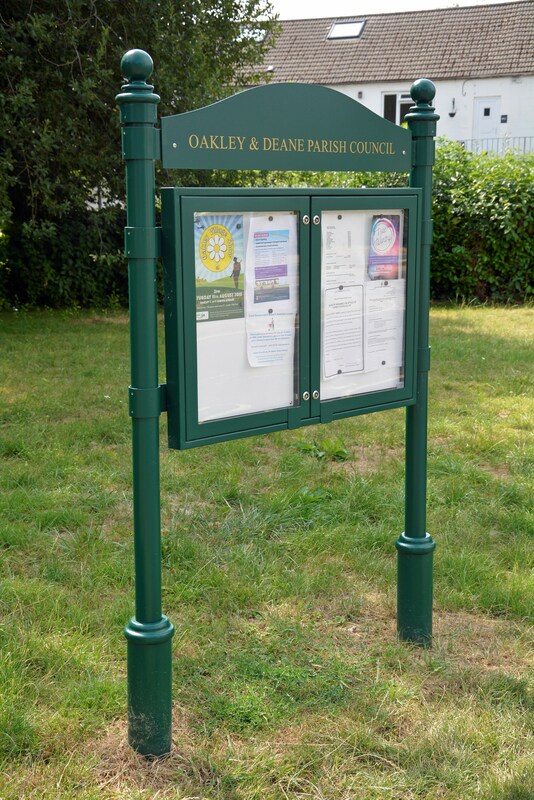 As the cost of the new boards exceeded their original cost the difference has been financed from Parish Council funds i.e. your Council Tax. There are two notice boards at the main pond. the large one (pictured second from the left above) is the John Litton Board which was purchased from public donations made in memory of Cannon Litton, the Rector of St Leonards during the 1970’s and who did much to make the new residents in the recently built housing estates feel welcome. 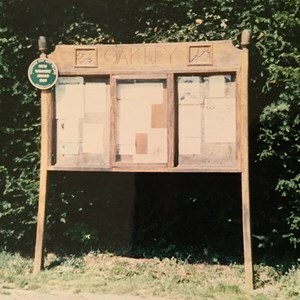 The second one is the Oakley Village Nature Trail Board which was originally erected in 1995. It has recently undergone renovation and is now back in it's original setting. The design was masterminded by Audrey Moss-Bradnam who with a team of local artists produced the individual items depicted on the board. The Parish clerk is responsible for the Notice Boards and will remove any out of date or inappropriate items.